It happens in one afternoon. When I come to my senses, I’m getting off a train that seems to have taken me to a bizarre world that’s slightly different from mine! 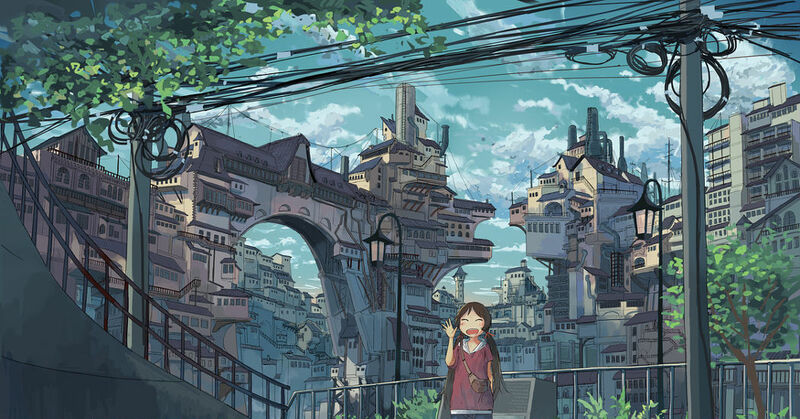 Upapin (うーぱーぴん) draws structures with a sense of perspective and an exquisite balance, involving buildings that were seemingly built on top of other buildings. By drawing elements that are familiar to us, such as street lamps and electric wires, in those fantasy worlds, Upapin manages to create worlds that we can somehow connect with the world that we live in. This time we’re featuring illustrations by Upapin. As you look at these illustrations, you will feel like a run-of-the-mill traveler who’s been transported to a completely unfamiliar world. Enjoy!